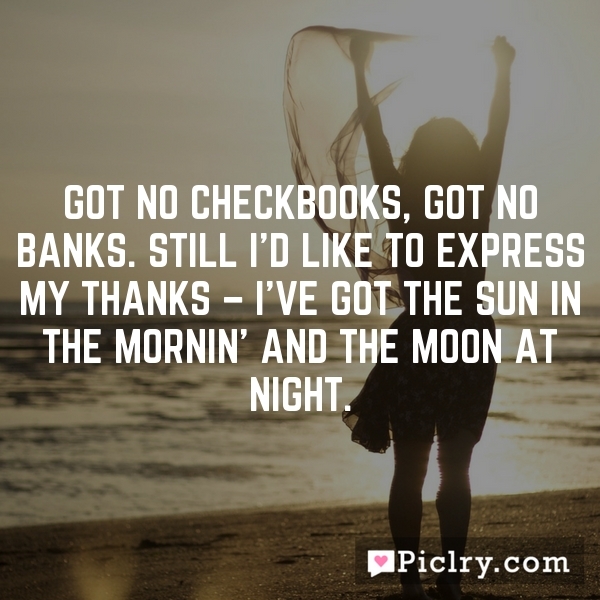 Got no checkbooks, got no banks. Still I'd like to express my thanks - I've got the sun in the mornin' and the moon at night. Even the smallest shift in perspective can bring about the greatest healing. The secret to happiness is the journey, not the destination.